Hi Debbie. My trip to Disney with the kids was amazing. So much has changed since I was there last but I easily navigated once I got the lay of the land. I used your guide every day and the fast passes were perfect. I’m so glad I didn’t get a guide. We met a lot of nice people waiting on a few lines and it was ok for my kids to know the sense of waiting. Splash mountain, the Avatar simulation and Soarin were our favorites. I wanted to circle back now that we've come home from our trip! We had a wonderful time and can't thank you enough for your thorough planning. It seemed like you were one step ahead of us with every detail and Disney really does a nice job thinking through the needs of families (even with little kids!). We can't wait to go back! The app was great and very easy to use. The only minor changes we made to our plan was to go to Epcot in the morning on Sunday (skipped Be our Guest) and then went to Magic Kingdom to meet Ariel and go on the rides. Jane (my almost 4 year old) was more scared of the rides than we expected so we skipped the mine train and opted for another "it's a small world". We also caved and got her dressed up at the Bibbidy Boutique...which was adorable and worth it for our dinner with Cinderella. We loved Epcot, hence we went back on Sunday, it's much more low key, less crowded, better food, and we waited to meet Anna and Elsa. For dinners, we loved getting off-site and seeing the other resorts and modes of transportation...it has us thinking about our next trip already! Thank you so much for your wonderful work in planning our Disney trip. The schedule you planned for us worked out great with the true genius of it we more fully appreciated each day. I can’t believe we almost skipped animal kingdom. It ended up being our favorite park and could have spent another day there. The avatar ride was unbelievable. Overall, we were blown away by Disney’s organization, efficiency, cleanliness, customer orientation, attention to detail, and variety of experiences for everyone. Thank you so much for all of your time and effort in planning our amazing trip to Disney!!!! We had a wonderful week and, with all of your tips and recommendations, we were able to get the most of each park. I have attached some pictures so you can see just what we got up to. I would say the boys' favorites were Tomorrowland Speedway & Test Track and Jedi training. Plus they loved the roller coasters - we all loved going on Splash Mountain, Seven Dwarfs Mine Train and Big Thunder together. All of the shows were spectacular (Lion King, Beauty & the Beast, Finding Nemo) and one of my personal favorite rides was Soarin'. Thank you once again for all of your help in making it such an awesome week. Now it's back to reality! Thank you so much for your work planning our trip. We had such a wonderful time! The hotel was amazing. The club level worked perfectly for us. Everyone loved it and it really served our needs well. The food and wine festival was divine. We ate at Epcot a lot! The kids and even my husband want to go back so I think that says it all. I'm going to recommend you to everyone I know because I really appreciate your answering all of my questions and working with me to make the trip successful. I was nervous because it's such an expensive and iconic trip for a family but it was really perfect. We did soo many rides. The kids loved everything. The FP were perfect and we got to do everything we wanted and more plus downtime at the pool. My son thanked us twice for the trip, which was amazing to hear! I can not say enough about how wonderful you were, in fact I was going to contact you to get your address. The itinerary you put together was perfect for our family down to every fast pass and detail. You are amazing at what you do, I can not thank you enough! There is so much that we loved but to provide a couple of details: I absolutely loved the show Fantasmic, the kids enjoyed The Bug Show and the Frozen sing along! My husband loved the buzz rides and the race cars! We really enjoyed the food and wine. I can't wait for you to plan our next trip ( in a few years, ha!) mickeys dance party, a blast!! We loved beauty and beast castle for dining and thought the neat breakfast was with the characters in our hotel, the food was delish the characters made quick rounds to each table, amazing. The hotel was a delight the pool perfect for our ages! The only minor set back, I would def stay on monorail given the option with small children. Such great memories!! I apologize that it has taken me 1 month to write. We did have a lovely fun time in Disney. I will say it was quite hot (we expected that) and the Beach Club was definitely a hit to cool off (the waterslide was in my son's top 3 favorites list). I think we had just the right amount of plans given our children age and meals (at least a majority of them) were a hit. We owe so much of the thoughtful planning to you (you are the expert!) so THANK YOU DEBBIE FOR OUR DISNEY VACATION. It will be a fun fond memory for a very long time. Just wanted to let you know what a fabulous time we had in Disney last week! Wilderness Lodge was perfect. We had a really nice room right on the lake with a beautiful view, and the concierge level access was such a nice perk. Our son Justin even told my mother-in-law that "we had the biggest room at the hotel." The kids absolutely loved the pool and slide and the sprinkler park area too! We rented boats and sped around the lake for a half hour on Saturday before we caught the bus to the airport, which was an exciting way to end the trip. The Pirates & Pals Fireworks voyage was fun. The best part was watching the fireworks show but Gavin fell asleep and slept through the whole show. Justin loved it though, and our host "Captain Hook" was very entertaining. Our favorite ride as a family was definitely the 7 Dwarfs Mine Train. I'm so glad we Fast Passed it twice because we loved it so much and were singing "Hi Ho!" together for like an hour after the ride was over. The dining plan worked out great and I'm glad we did it. It lasted us all 6 days and was the perfect amount of food. There were so many highlights and awesome moments and I want to thank you for everything you did to plan such a wonderful vacation for us. We've already started recommending you to anyone who tells us they're thinking of taking a Disney vacation. You were a huge help and really made the whole process a breeze from start to finish. Thanks so much again. Hopefully we'll have the chance to work together again in the future! My name is Brian D. and my family and I just returned from a 10 day vacation at Disney World. We stayed at the Animal Kingdom Kidani Village in a beautiful Villa. 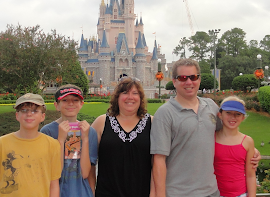 This is our second trip to Disney in as many years and I wanted to reach out and express the gratitude that my family has for your company and especially the amazing work that our agent Debbie Moore did for us. We had used a different company the first time and were unsatisfied with the assistance that we received. This past time it was night and day and all of the credit goes to Debbie. From the moment we were in contact with her she was extremely responsive, professional and very insightful! She gave us ideas that we would of never thought of that made our vacation extraordinary. She took the stress out of the planning so that we could sit back and dream about what laid ahead. All of our reservations were spot on, her recommendations for restaurants, Fastpasses were wonderful. She provided documents and information for every step of the way. We have spoken with Debbie since we have been home and even though our vacation is over she is every bit as responsive! We have let her know that we plan on going to Disney again in January 2016 and as soon as packages become available this summer she will be our first call as we know she is dependable and wonderful to work with and be sure that all of our friends will be referred her way as well! I hope this finds it way to the correct person as she deserves the accolades. We can not say enough about her! I have been out of town visiting my son and his family so I'm just now getting back to you. Our trip was wonderful! Everything went perfectly. Emma loved every minute of it, and Chris and I loved watching her! We really enjoyed both character meals, especially the Disney princesses dinner at Akershus. I appreciate so much your help in planning the trip. Your suggestions and itinerary worked perfectly for us. Even the weather cooperated, LOL! Disney World is truly a magical place for all ages, and we look forward to going back soon! Again, thank you for everything! Sorry it has taken soooo long for me to get back to you! Yes, it surely does feel like a life time ago that we were in the warm beautiful weather of Disney World! This winter has been relentless. Brayden has not had a full week of school since before Christmas. It sure puts a crimp in my schedule to have him home and stuck inside so much. The Port Orleans French Quarter was beautiful. They were very accommodating too. The first night they were really booked solid due to the locals being there for the long weekend so our room was on the back side of building 7. After I put Brayden to bed that night I went down and I asked if it was possible to move closer to civilization. They gave us a room in building 2 right next to the pool and playground, at no extra charge! Brayden was in heaven. He and Bruce swam every afternoon. The dinning plan was a huge success and your choices of restaurants really hit the mark with Bruce! (Its like your inside his head) Every meal was perfect his favorite by far was the Wilderness lodge. If you can believe it he managed to finish 2 of the all you can eat platters! With out your guidance we would probably have just eaten our meals at our resort every day, and missed out on so much! As for Brayden, the magic was plentiful! It was a dream for me to see his eyes light up with the parks, the fire works and all the characters at the character meals. (and not have to do the planning) His favorite was the Grand Floridian (mine too) were he got his first kiss from one of the step sisters. They were soooo funny!! Brayden even went on Expedition Everest with me! (No roller coasters for Bruce) That was a blast. My favorite ride was the Star Wars one at HS. Bruce's was Soar'n and Brayden said Space Ship Earth was his. Fast Pass was a huge hit too! There were some many things that we would have missed without your guidance. Even little things like the plunger outside of Big Thunder. Brayden had that all to him self and it was a struggle to get him to stop blowing things up!! It was a total success and I wish we could go back tomorrow! Feel free to look at our pictures on the Memory maker (another winner) before they expire next week. Thanks again for everything! My husband and I both agreed, we would never do a non-Disney cruise with the kids after our experience. It was so awesome for them! I don’t think I would take a cruise shorter than 7 days next time. I felt like we were rushed to cram it all in. There were so many things we didn’t even see! I really appreciate all of your assistance with the planning! I attached a few of the pics we got onboard, feel free to use them! Can’t wait to sail again! On Thursday she was princess for the day!! She wear her Rapunzel dress all day long!! I wish we had more time to enjoy the parks more but next time we will start planning no less than six months away. I will for sure tell my friends and family about you and all the wonderful things you did for us to help us plan our vacation!!! We are home and were very sad to leave Disney! We had such an awesome experience and made lots of memories. My kids have never been so happy! I wanted to thank u for your help and guidance to make our first trip to Disney truly magical. And we LOVED the Beach Club Villas! ! Great things to say about all our choices. The Biergarten and Sci-Fi Diner were huge hits. And your description of the attractions were spot on. We definitely did and saw things we would not have if we planned this trip on our own. I can't recommend your services enough. Thank you so much for all your planning. It really was terrific! Thank you again for everything. We had such an amazing time. The kids absolutely loved it. Louise got to meet all the princesses. Even Franklin admitted at the end it was more fun than he thought. The ship was great, the staff was wonderful. We really had a great time. Thank you for all your help in making our arrangements. It definitely made our trip more enjoyable. We will definitely be in touch when we are ready for our next Disney trip. We enjoyed our vacation so much, none of us were ready to leave! We loved all the restaurants that you booked for us, but I think our two favorites were the German restaurant and 1900 Park Fare. The Step Sisters at 1900 were a HOOT!!! Gracie and I liked Magic Kingdom the most and the boys liked Hollywood Studios, but we had a blast at each park. My scary cat (Gracie) rode Big Thunder Mountain and River Rapids and loved them, which if you knew her, that is an OMG moment LOL. I already want to go back, but Sean says I have to wait at least 2 years :( I'm trying to convince him that we need to take and "adult trip" next year. LOL :) Thank you for all of your help planning our trip! You will def. be my go to gal for future trips! Thanks Deb, we were just saying you were the best travel agent we have ever used. Wish you did more than just Disney as you really went beyond normal in helping us with the trip. Rest assured when we go back, you will be our gal again. We had a fun time, though Disney for us, had a steep learning curve. We were feeling more comfortable by Wednesday. Really enjoyed having fast passes, meeting the fairies, Jedi training and the pirate league. They were some of the highlights for sure. The restaurants were all excellent, so thanks for the reservations. The kids loved the Whispering Canyon Cafe. We were chosen family of the night and the kids rang the dinner triangle and yelled "come and get it!" to open the restaurant. I asked for ketchup and that was fun too. Gino and I are certain that without your help this vacation would have come close to being a disaster. We are not amusement park or crowd people so going into this vacation we had our reservations about how well we would cope. Seeing the magic through the kids' eyes was well worth the visit, and it was due to your guidance that we were able to pull it off. We will probably not be visiting Disney for quite some time, but we have lots of friends with kids so we will definitely send any of them thinking of a Disney vacation your way. Really, I think your help saved the vacation and we are grateful for having you and your expertise. It's time for me to go through our magic moments pictures and take care of our album, before time gets away from me. Thanks again! And Happy 2014! I want to say thank you so much for helping us to plan such a fun and magical vacation. It was very different from any vacation we've ever taken, and we absolutely loved it! I was a little worried about the crowd levels with it being marathon weekend, but I'm happy to say the longest we really waited in line was about 35 minutes and that was just so we could try the famous DoleWhip! It's pretty much a win when you can ride everything (many big rides multiple times) with only minimal wait times. I'm sure some of it was due to our pre-planning our fastpasses, but everything worked out great! We very much enjoyed dinner at Biergarten, Boma, and Flying Fish. I'm so glad you suggested Boma because it was delicious and probably not something we would normally have tried. We had fun at Be Our Guest because the Beast was greeting guests after dinner in the library, but I would say the food was just okay. I'm not sure I'd visit this one again; however, it was still a cool experience. We decided this was somewhat of a "scouting" trip since I'd never been and Bryan hadn't been in about 25 years. That being said, POP was fine, but I think we'd probably want to upgrade to at least a moderate resort on our next visit. We will definitely reach out to you to help with planning our next trip as well as recommend you to any friends or family thinking about a Disney vacation! Thank you again for all of your wonderful suggestions, guidance, and help in making our reservations. Hope 2014 is off to a great start for you as well! You have been phenomenal! I cannot stop bragging to all of our friends and family on the wonderful job you made in making our vacation so magical!! My children cried when we left and they cannot stop talking about the whole experience. I have given your information to a few friends and family members:). We will definitely be in touch next year! We want to try to make this a tradition. Our lodge was exceptional and the children had a hard time going to bed due to the excitement! Watching the animals first thing in the morning and doing the campfire at night was surreal. Being able to walk around the lodge and see the animals was just magical. My children begged for more days, but as we all know, we have to comeback to reality. The parks were great even though we kept getting rained out. Our families enjoyed the reservations and even though they frequent the parks on a regular basis, the grand Floridian was just beyond their expectations. Thank you again for making this vacation so wonderful! My husband was impressed by all of the package including the dining plan;). Have a wonderful summer and we will definitely be in touch! The photopass worked great for us, definitely worth paying for! happier with our plan, thanks again! Attached are some of my favorite pictures from our trip. The Wilderness Lodge was an unbelievable resort! Evelyn loved the character meals and was able to meet all of her best friends. We thought the best one was Chef Mickey's. The breakfast was great and the characters seemed to understand that they had limited time to spend with each family. Evelyn also loved the rides, only issue was getting her off of them. When the ride would come to an end she would look around and say, "again, Again, AGain! AGAIN! NOOOOO!" Needless to say, that was not magical. The cutest moment was when she met Pooh. Evelyn gave him the biggest hug, one that lasted for about 45 seconds. The woman helping Pooh navigate the crowd had to break them apart, which Evelyn took in stride. The parks were crowded but not too bad. We only had to wait in line for most of the rides for under 20 minutes without even using fastpass. Overall, it was a wonderful break! Thank you again for all your help and advice. After speaking to one of my friends who went over Christmas break I am so happy we listened to you and waited. Thank you so much for all of your help planning our Disney vacation! It went so smoothly and it couldn't have happened without your help! We used all of your great tips and secrets and it paid off immensely. You definitely maximized our experience. I highly recommend your fantastic services!